It was fantastic to be able to share Eco Day with over 70 Stage 3 students from Parkes and Forbes Shire schools on Thursday. 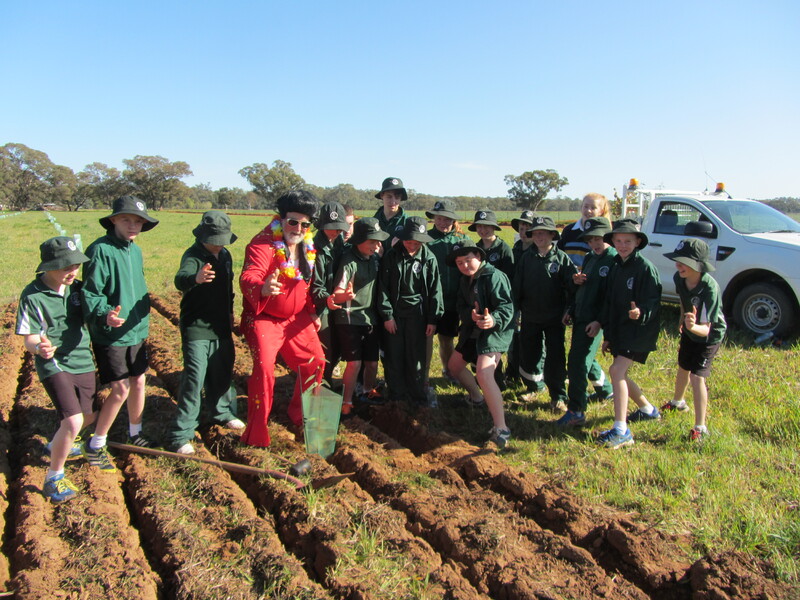 Through Eco Day, Central West Lachlan Landcare (CWLL) provide workshops and bus travel to school representatives from Stage 3 (years 5 and 6) from Parkes and Forbes Shire, to enable students to be involved in a variety of environmental and rural related activities. To provide as much ‘hands on’ and close interaction as possible, small groups are given the opportunity to be involved in educational activities, with an environmental twist, that they will remember for a lifetime. We were pleased to have our Local State Member of Parliament and Parliamentary Friend of Landcare, Mr Philip Donato joining us and participating in activities with the children. It was also a pleasure to have Cr Bill Jayet from Parkes Shire Council and Cr Jeff Nicholson from Forbes Shire Council joining us. Ro Burns had a different twist on art with an Eco Art Workshop encouraging children to use plants to dye or print on fabrics and paper. The fabric will become part of a community art installation by Ro Burns for the River Arts Festival in May 2019, with schools wind sock fish displaying fish species. The display will appear as a work in progress at Grazing Down the Lachlan. CWLL Co-ordinator, Marg Applebee said “Eco Day is not possible without contributions from many people, who give up their time to present the workshops mentioned and the day would not be possible without the support from Parkes and Forbes Shire Councils, and the fabulous school children that attend the day. We are particularly grateful to the staff at the Central West Livestock Exchange, who particularly went out of their way this year, given the wet weather. For Eco Day photos, go to our facebook page at cwllandcare. 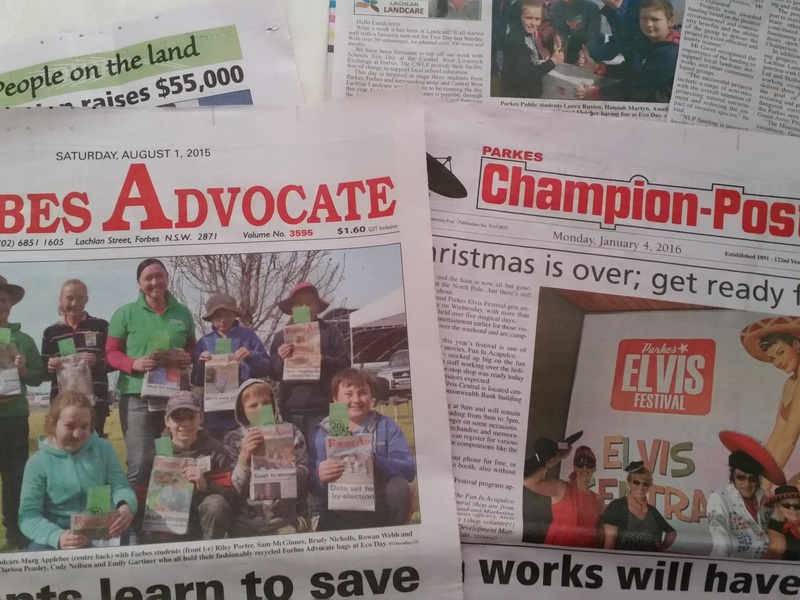 Looking At Landcare (31/8/2018) – Reading Down Town & Getting REaDICULOUS!